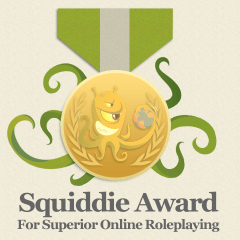 Earlier this month, we asked for nominations for our top award, the Ongoing Worlds Medal for Superior Online Roleplaying (aka the Squiddies). The nomination window is quickly closing as all submissions must be received by November 1st. Before that happens, however, I’d like to share some of the kind words given for last’s years nominees. 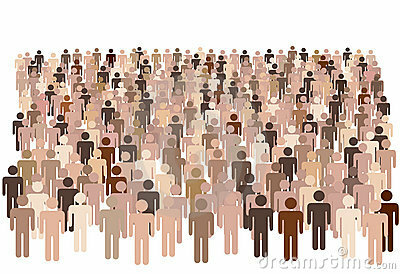 It’s clear that we have quite a lot of talent and sharing in our community! Please also read about 2013 and 2014 winners. This article was written by Rich LeValley from Star Trek: Borderlands, a roleplaying group that’s been running since 1993. On 23 November 2013, Doctor Who, the world’s longest running sci-fi show, turns 50, with a spectacular special episode airing in 70 countries at the same time. With 800 episodes to the end of this year with more to come and hundreds of expanded universe works, the multiverse of the show is a hugely developed one with lots of ideas for roleplaying. So David, give us a little introduction to Blue Dwarf. I assume it is related to the classic Red Dwarf Television show? Blame Nathan Fillion. That’s what I do. I’ve created a good number of sims for my club (Phoenix Roleplaying) and elsewhere over the years; including some original concepts that I have covered in a previous article.